Anna focuses her practice on family law matters, including divorce, adoption, custody, parenting time/visitation, grandparent visitation, and paternity and estate planning and probate matters, including wills, trusts, health care directives, and powers of attorney. She also represents clients in the areas of employment law and business law. Anna obtained her Bachelor of Science from Winona State University in Winona, Minnesota in 2004 and obtained her Juris Doctorate from Hamline University School of Law in Saint Paul, Minnesota in 2008. During law school, Anna served on the Hamline Law Review and maintained her presidential merit scholarship. 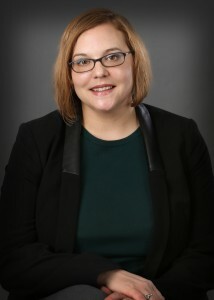 Prior to joining Tentinger Law Firm in 2014, Anna was employed at a law firm in Brainerd, Minnesota, representing clients in family law, estate planning and probate cases. She truly enjoys helping clients achieve their goals and is excited to be serving Dakota County and the surrounding areas. She is a member of the Minnesota State Bar Association and the Dakota County Bar Association, board member for the Apple Valley Arts Foundation, and volunteer attorney for the Cancer Legal Line.